IF YOU OWN AN INVESTMENT PROPERTY IN NEW YORK, A PROPERTY INSURANCE POLICY FROM THE CLAUSEN AGENCY, INC. WILL PROVIDE YOU WITH THE COVERAGES YOU REQUIRE. Do you own a rental property in New York? Property insurance is a policy covering the property owner/landlord from financial losses associated with their rented property. Rental properties are major investments and can be valuable sources of income. Would you remain financially stable if the building you own were damaged or if a tenant was injured on your property? For landlords in NY, property insurance is an essential tool that can protect you in such situations. As a landlord, you need to be aware that your homeowners insurance policy does not protect your rental property. It is important to also carry rental property insurance. The Clausen Agency, Inc. will help you select the best possible rental property coverage available. Typically for landlords in NY, a property insurance policy will offer coverages for only the building – with the option to add protection for the contents within the building. If you have furnished the interior on your own, including the additional coverage is a wise decision. 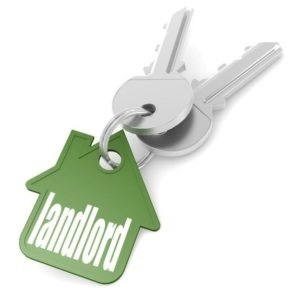 Otherwise, most landlords will leave this responsibility to the tenants. If you have any questions about the type of rental property insurance that’s right for you, don’t hesitate to utilize the knowledgeable agents at The Clausen Agency, Inc. as a resource. Contact us today!